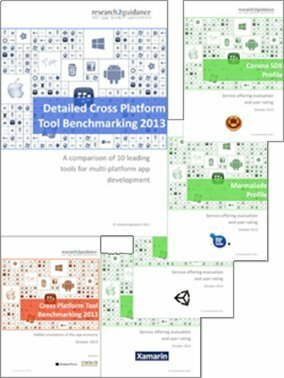 The report is a comparison of ten leading cross-platform tools on a detailed level. Tools are compared one-on-one by dimensions like time savings, tool complexity, platform coverage, HW feature access, API access, app quality, support service quality cost-performance ratio, etc. – How satisfied users are with CP Tools in general and with each single tool? – Which tool meets user satisfaction most? Which least? – Which tool caters which industries best? – Which tool is best for which user profile (i.e. company size)? – The tools’ complexity, i.e. time to get familiar with the tool and get the best out of it. How does this learning investment pay off for app development later? Is the learning time worth the time saving? Which tool is most efficient? – Which tool supports which mobile platforms? – Which Cloud API Services and other features are available for each tool? – Which tool produces the apps with the highest quality? – Which tool has the best cost-performance ratio? – Which tool gets the highest overall rating (by its users)? The accuracy and informative value of the results depends on the number of user ratings of a particular CP Tool. Please note that three tools (Sencha Touch, Construct2, Corona SDK) have less the 30 answers, which are marked in grey in the document to facilitate interpretation of the results. Even lower numbers of user ratings give a good indication of the strengths and weaknesses of a CP Tool. 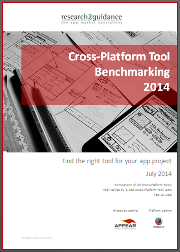 Target groups for this report are app developers, app professionals, tool vendors, project managers etc. – Get a market overview and compare ten leading cross-platform tools. – Inform yourself, which tools fits your needs best: Does it support your target industry? Is it suited for your IT skills? Is it suited for your company size? Is it suited for your target industry? Does it fit to your targeted platforms? – See how satisfied users are with their tools. – Read how good the tools are rated and which tool delivers the best cost-performance ratio. 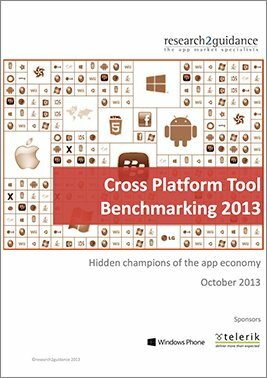 Cross Platform Tool Benchmarking 2013 – The hidden champions of the app economy: The Cross Platform Tool Benchmarking 2013 report will help app developers, app publishers, IT professionals and consultants, to identify the proper cross-platform tool. – More than 1,000 app economy professionals rate CP Tools. 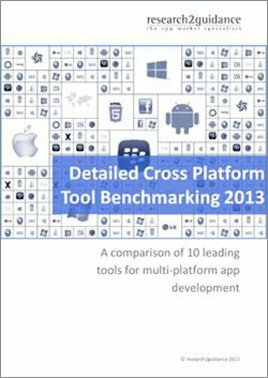 Cross-Platform Tool Profiles – Service offering evaluation and user rating: A detailed description and user ratings for 4 of the most popular cross-platform tools. 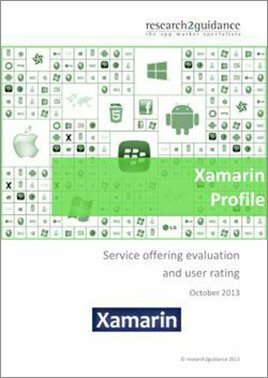 Profiles are available for Xamarin, Corona SDK, Unity 3D and Marmalade. Profiles provide detailed information on each specific tool. Cross-Platform Tool Selection Support: A standardized CP Tool selection process that allows you to find the right tool for your app projects. “It helped me to understand industry problems, which I have now applied in designing my own fitness app”.